One of the big issues people come across when getting fitted for custom golf clubs is that they aren’t really sure whether or not Trackman technology is worth their time since they aren’t a top level golfer. Trackman technology is a great way to not only be fitted for custom golf clubs but to just improve your overall golf game. With all the data and numbers that Trackman gives you, there will be some critical information that will help fix small or big faults in your swing. Very interesting video! I like your blog posts a lot, they are very informative. Keep them coming! Getting fit for clubs by a professional is great. However, add in the data that the Trackman system provides, and it is like your fitting is now on steroids! 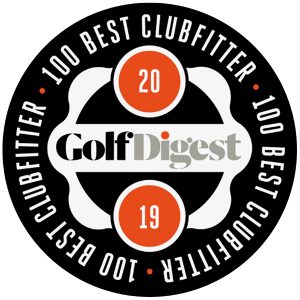 No matter your handicap, the data will help to get to the correct club or clubs by indicating things you will never see without the Trackman – angle of attack, spin rate, side spin off the club face, etc. I was just fitted for a driver and what a difference in under 10 minutes.